Nellie V. Ware 74, was welcomed into this world Jan. 24, 1944, and was welcomed into her eternal life on Friday, Aug. 17, 2018. She was born in Cleveland to the late James Scott Ware Sr. and Earnestine G. Ware. 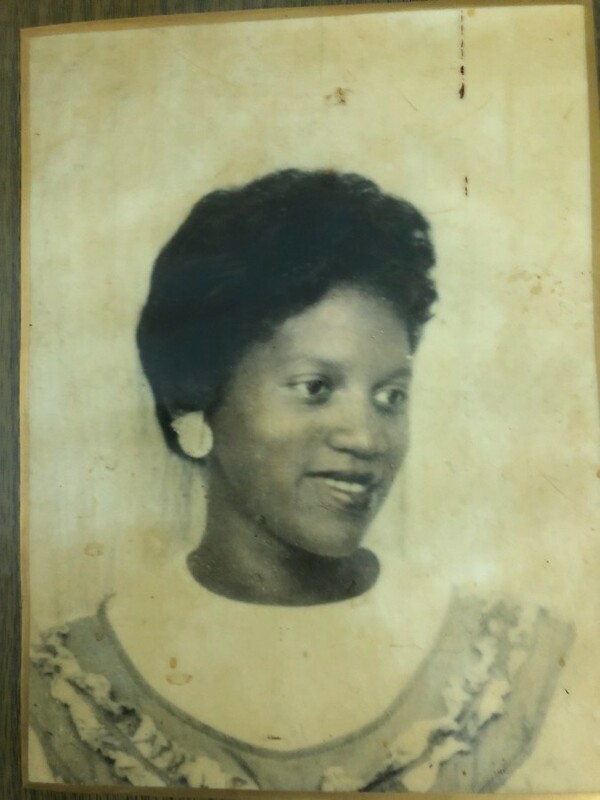 She is preceded in death by her parents; devoted grandparents; grandmother, Mary L. Johnson; great-grandmother, Fronia Suddieth; sisters, Anna Jean Wells, Mary L. Lowe, Sharon Ware, Patsy (Leonard) Woods; and brothers, Earnest L. Ware, the Rev. Jerry Ware Sr., Robert Ware Sr., and James S. Ware Jr.
She was a graduate of College Hill School. She set out for adventure to Indiana, Ind., in 1966, and returned to Cleveland in 1978. She, a wonderful grandmother, found pleasure in taking care of grandchildren and was well loved by family and friends. She enjoyed watching soap operas, "The Price is Right" and "Walker Texas Ranger," which were a few of her favorite television shows. Purple was her favorite color. With a joyful and amusing spirit, she was quick to share a word of wisdom and give her advice, whether you received it or not. Nellie loved life and appreciated sharing laughter with family and friends. She is survived by her children: Cynthia (Marty) Boston of Indianapolis, Ind., Russell (Rhonda) Ware Sr., Twynette”Bolly” Ware, Anthony “Butter” Ashmore, and Rita J. Hughes; her grandchildren she raised, LaKeisha “KeKe” Hughes, Antonio “Toni” Ware, Sharita McClure, Leashia Hughes, Devontaye “Taye” Jackson and Saniya”Nia” Hammonds, all of Cleveland; and many other grandchildren, great-grandchildren and great- great-grandchildren of Cleveland, and Indianapolis, Ind. ; sisters-in-law, Darla Ware, Brenda Ware, Janice Ware, all of Cleveland, and Nancy Ware of Oklahoma; brother-in-law, Cletus Wells of Cleveland; aunt, Fannie Ware of Forest Park, Ga.; special friends, Mrs. Bernie King and Gregory Pugh; and a host of nieces, nephews, other relatives and friends. The body may be viewed at the Patton Funeral Home Chapel, 265 Fair St. S.E., Cleveland, on Wednesday, from 9 a.m. until 7 p.m. The family will receive visitors at Pleasant Grove Baptist Church, 799 Inman St., S.E., Cleveland on Thursday, Aug. 23, 2018, from 11 a.m. until the noon service time. The Rev. Edward S. Robinson S. Robinson Sr., pastor, and the Rev. Samuel Hall will be officiating, with the Rev. Terry Ware as the eulogist. Interment will follow in the Fort Hill Cemetery.